Immerse yourself in the annual polar bear migration of Hudson Bay, where polar bears wait for the bay to freeze. Photograph one of the world’s most magnificent predator. Observe polar bears up close from our Polar Bear Cabins. Experience a remote and fascinating tundra environment with some of the world’s best polar bear viewing. Short walks over frozen tundra with seasoned Inuit guides who will get you as close to polar bears as possible for unforgettable viewing and photographs. Enjoy the magical Northern Lights at night. 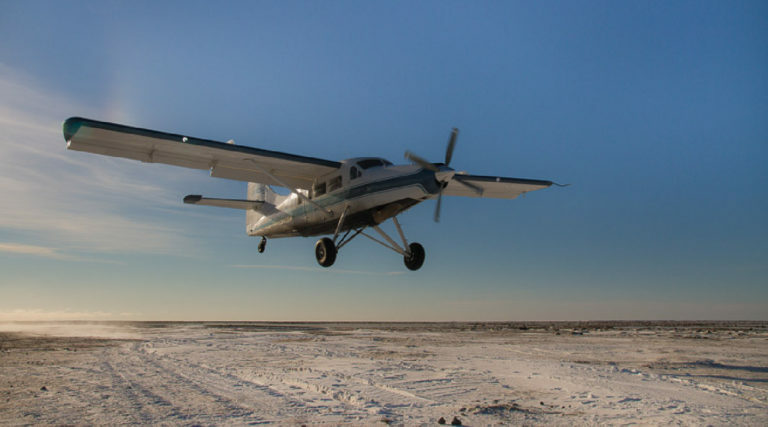 A private charter flight over the tundra – perfect for aerial photography. Strategically located in “polar bear alley”, our Polar Bear Cabins site is situated directly in the path of polar bears as they search for the first sea ice forming on the bay. Get the opportunity to safely photograph polar bears at ground level, behind an unobtrusive electric fence. Polar bears are known to wander right up to the fence! Escape and unplug at our intimate, remote and rustic private cabin complex for an exclusive and comfortable experience in the North. Spend the night in a boutique hotel across from the Winnipeg airport. The adventure begins with a 45-50 minute flight aboard a private, Turbo Otter aircraft from Churchill, Manitoba flying north along the west coast of Hudson Bay to our base camp. The flight path follows the route polar bears take when they migrate in search of the first sea ice to form on the bay. During the 45-50 minute flight along the west coast of Hudson Bay aerial landscape photography maybe possible. A lucky few may even get a chance to view and photograph Arctic wildlife from above. Our Polar Bear Cabins are strategically placed in “polar bear alley” for reliable polar bear encounters. Spend these days observing polar bears and other Arctic wildlife including; Arctic hare, Arctic fox, pine martens, Willow Ptarmigan, Snowy Owls, Gyrfalcons and possibly even wolverines in the wild, and admiring stunning natural landscapes and sunsets. Set your tripod up inside the protective, unobtrusive electric fence that surrounds the camp. 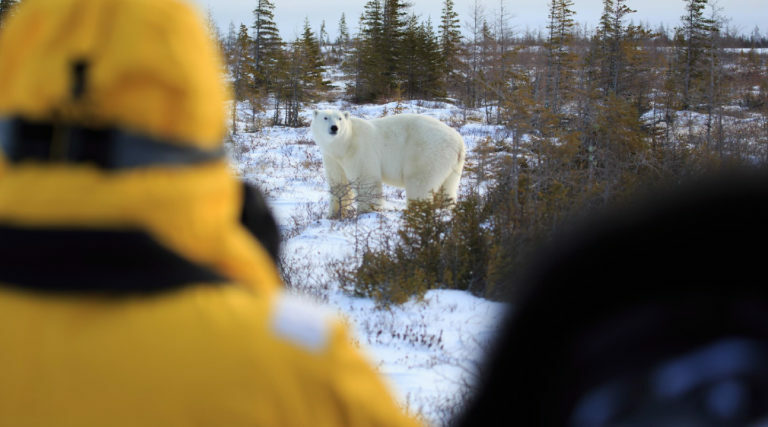 In the company of local guides and Arctic Kingdom staff, wait for the perfect close-up of the polar bears that wander by, Safely led by our Inuit guides, head out on short walks outside the perimeter of the camp fence. Often polar bears are friendly, in good spirits, and disinterested in humans. From time to time, there will be a curious polar bear who approaches us. Our local Inuit guides have lived among polar bears for generations and know their behavior well. Following their guidance provides the most authentic and intimate polar bear moments available, and ultimately ensures the safety of our guests and polar bears. Each evening after sunset await the unforgettable display of the Northern Lights – conditions permitting. This expedition is designed for viewing and photographing polar bears, along with other Arctic wildlife, in their natural habitat. There may be an opportunity to see one to 10 polar bears per day, however, there may also be days when polar bears will not be spotted. During these days, you can enjoy walks on the frozen tundra in search of other Arctic wildlife and photograph the stunning landscapes. Capture a few last shots in the morning before flying back to Churchill on the charter flight. Transfer planes in Churchill for the flight to Winnipeg. Spend the night in the Winnipeg hotel near the airport. Rustic, remote and accessible only by air at this time of year, our Polar Bear Cabins rest on the shores of Hudson Bay. 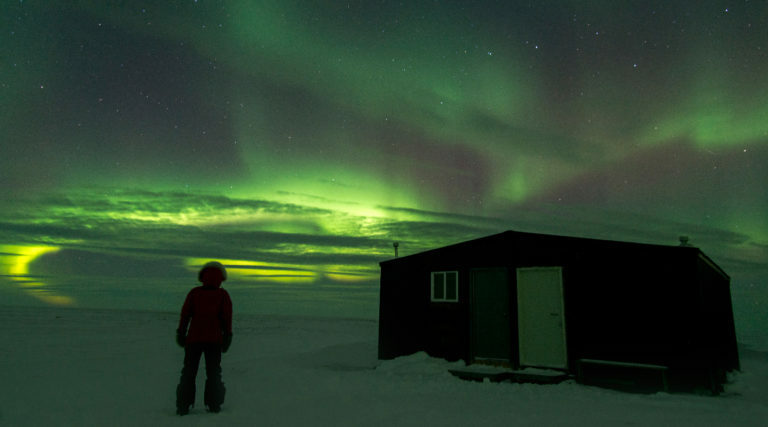 These simple, polar bear-proof buildings surrounded by an electric fence, offer a comfortable and safe home in the heart of polar bear country. 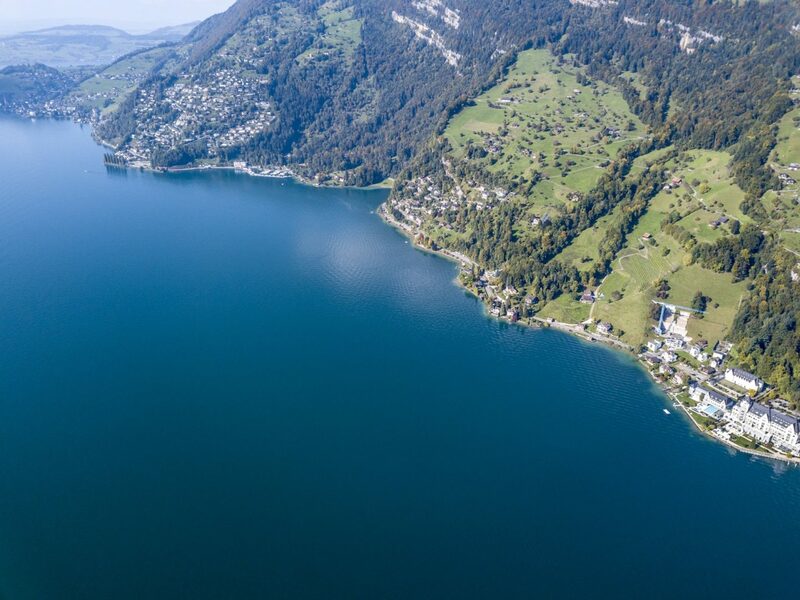 The complex consists of four guest cabins and a central dining/lounge/kitchen cabin. Allowing for a maximum of eight guests, the Polar Bear Cabins create a private and intimate polar bear viewing experience. Each guest cabin has an entryway for storing camera gear and tripods, and a main room featuring two beds (or king bed configuration), a small laptop computer table and adequate space for the rest of your gear and clothing. The heated cabins come complete with linens, duvet comforter and pillows. This safari is perfect for anyone looking for a relaxed adventure, including families with older children. This is not a strenuous adventure as most of the days will be spent observing polar bears from the cabins or on short nature treks. Guests should be able to walk unassisted. You don’t need to have previous Arctic experience, but you do need to have an adventurous spirit.